If you follow the American television, you must definitely know about a game show called 50,000 Pyramid. 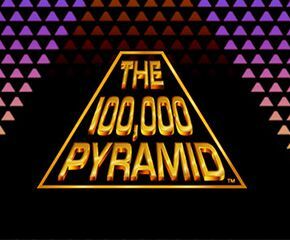 But if you are not, 50,000 Pyramid is essentially a quiz show in which players answer questions to get to the top of the pyramid where the big jackpot is. And 100K Pyramid from IGT is exactly based on this quiz show. The slot is actually an all time classic and a favorite of many around the world. But it’s just now been ported to the mobile platform. Read on to learn more about the slot. International Game Technology was originally an American based out of Las Vegas, Nevada. It has since been acquired by GTech, the Italian Multinational company. 100K Pyramid is a slot game with 5 reels and 15 paylines. You get to play this game from anywhere between 15p and 450£ per spin. The wins come rarely in the base game. But this game is all about its bonus features so you just have to wait until a bonus feature gets triggered. The game obviously has a medium to high variance which is common for such games. 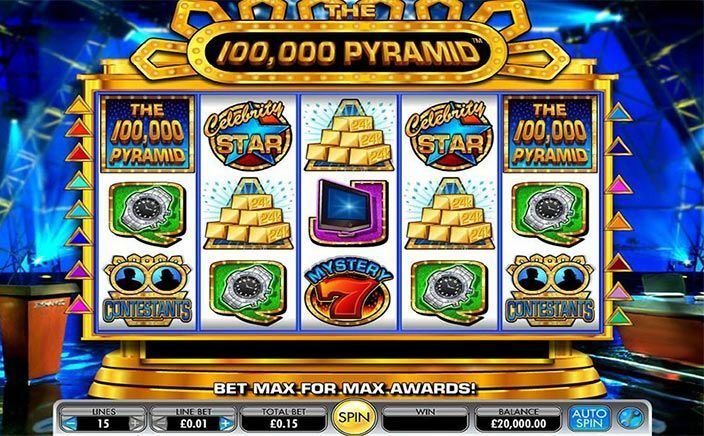 The main bonus feature of 100K Pyramid is the Winner’s circle feature where you can a maximum of 36 free spins. If you thought that the free spins themselves were a lot wait, the feature has more to offer. You get multipliers of up to 9x during these free spins to increase your winnings exponentially. You actually only start off with 2 free spins and 1x multiplier. But then you get to make 5 picks. Each of the picks will reveal a bonus multiplier or more free spins. And that’s how you’ll end up with a maximum of 36 free spins and a 9x multiplier. The game also has a jackpot of 100,000 coins. This is triggered by landing 5 100K Pyramid symbols on the reels. 100K Pyramid is a slot game that pays huge. So much so that if you are lucky enough you may find yourself a lot richer at the end of the game than you were at the beginning. So, if you are looking for slot games that offer big wins look no further. This is the one. And guess what? It’s entertaining too!! Cannot ask more from a slot game, can you?? Go on and give this one a try already.